Coal production of the templates from the process of charring the wood to break through the following stages: First: the mill: to grind and soften the broken coal and turn it into a powder. 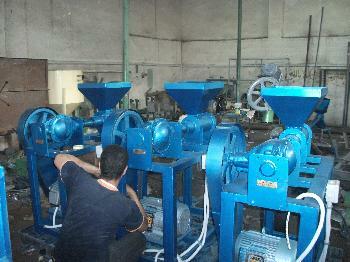 Second: mixer: for mixing coal powder with starch powder and water to Alklokozy function to paste. Third: Press: for pressing the dough and turn it into Swaba different shapes and diameters on request.